Sony BMG has formally signed up to Nokia’s ambitious Comes With Music concept as predicted. It’s a major coup for Nokia, which already has Universal and EMI on board. 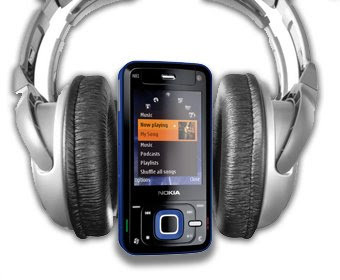 Nokia Comes With Music is expected to launch in the second half of 2008 on a range of Nokia devices in selected markets. The concept bundles ‘free’ music into the price of the hardware, so that buyers of selected Nokia devices can download tracks to mobile or PC via Nokia Music Store for 12 months. At the end of the one year period, they can keep their downloaded tracks for good. Thereafter, they can purchase additional tracks from the Nokia Music Store, or move on to a Nokia “unlimited access” subscription service. Good looking The concept bundles ‘free’ music into the price of the hardware, so that buyers of selected Nokia devices can download tracks to mobile or PC via Nokia Music Store for 12 months.In my point of view this mobile phone will capture the market very easily.